The head of EU police agency Europol, Rob Wainwright, says it is becoming extremely difficult to foil terror attacks due to the large number of radicalized Muslim extremists in Europe, their lack of command structure, and their growing sophistication. "The scale of the problem, the diffuse nature of the network, the scale of the people involved make this extremely difficult for even very well-functioning counterterrorist agencies such as we have in France to stop every attack," Wainwright said in an interview to AP. "Official" terror groups headed by a leader are often replaced by numerous independent or semi-independent terrorists who act on their own. It is very difficult to track them, he explained, adding that at least 2,500 and perhaps up to 5,000 Europeans are suspected to have joined militants in Syria and Iraq. "The sheer numbers of people involved, the way in which they've been radicalized on the Internet, radicalized by their engagement in the conflict in Syria and Iraq, makes this extremely difficult for the police to contain it in a complete way," he said. "That's the real problem I think that the intelligence community faces right now." According to Wainwright, European police agencies need to have closer cooperation with each other and Europol in order to prevent possible attacks. He said that Belgian police had cooperated with Europol before the Thursday anti-terrorist operation in Verviers, Belgium, where an imminent attack was prevented. Thirteen people were arrested in the country; five of them were charged with “participating in the activities of a terrorist group” on Friday. "We have to make sure therefore that we can work together in a better way across Europe," he said. 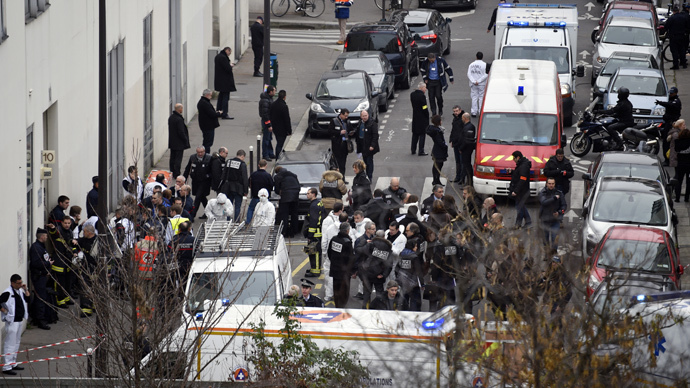 The series of terror acts in Europe started on January 7, after the deadly assault on the Charlie Hebdo office in Paris. EU counter-terrorism coordinator Gilles de Kerchove has warned there is a risk of new attacks in Europe. Europol said the most likely targets are Belgium, the Netherlands, and the UK. Europol, based in The Hague, Netherlands, is the European Union's law enforcement agency with a staff of 800 people. Its main goal is to “help achieve a safer Europe for the benefit of all EU citizens,” according to its webpage. The agency has no executive powers, but works to improve the effectiveness and cooperation between the competent authorities of the member states by means of sharing intelligence in order to prevent and combat serious international organized crime. Europol supports European national agencies with information exchange, intelligence analysis, expertise, and training.